Bruks Siwertell’s new joint website showcases the fusion of two strong brands and the group's wide variety of bulk handling and wood processing solutions. The new joint website includes all product areas of both Bruks and Siwertell products, allowing you to see clearly what type of solutions the company offers and how its machines and installations work. The company publishes all its news and updates on the website, and then share it in its social media channels. You can find and follow the company on Facebook, LinkedIn, Instagram and Twitter. 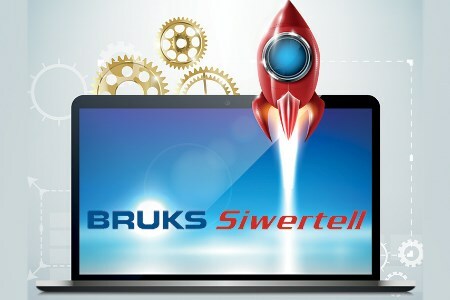 You can also sign up for the Bruks Siwertell monthly newsletter to get the latest news sent directly to your inbox. One of the website features, where visitors can get useful tips and advice from company experts sharing their knowledge, is the Bruks Swertell blog; an information hub for all aspects of the dry bulk cargo handling and wood processing industries. You’ll find the latest news, trend spotting, information about different bulk cargoes, port operation, bulk terminals and the biofuel, board, saw mill, pulp and paper industries, along with important issues such as environmental protection and safe operations. The blog is a platform to highlight potentially challenging areas linked to bulk handling and wood processing operations. The career pages make it easy to find out what it is like to work in the industry and see the opportunities the company can offer. Personal testimonies from colleagues in all areas at Bruks Siwertell give a great insight of working in the company’s demanding, yet satisfying, global environment. A customer case archive contains a selection of case studies, outlining how the company provides solutions for customers with a wide range of requirements. They demonstrate just a taste of its delivery capabilities. The company will add new studies continuously, so there is a good chance that you will be able to find a case relevant to your trade and needs. Through the red contact tab, which will follow you on the right hand side wherever you are on the site, you can easily and quickly get in contact with the right office and expert within the group, no matter where you are or what you are looking for. With its increased number of offices and locations from where it can serve its customers, the company has added a few extra fields to fill in, in the contact tab, ensuring each request will be sent directly to the right location, and the response time will be minimal. There is also the contact page, where you can see the full contact details of each of its offices. Throughout each year, Bruks Siwertell attends conferences, exhibitions and other industry-oriented events all over the world, in order to be available for dialogue with its customers, and to network with and learn from other experts in the field. All upcoming locations where it will showcase its equipment and solutions, or make a presentation in the conference programme, you can find on the event page.